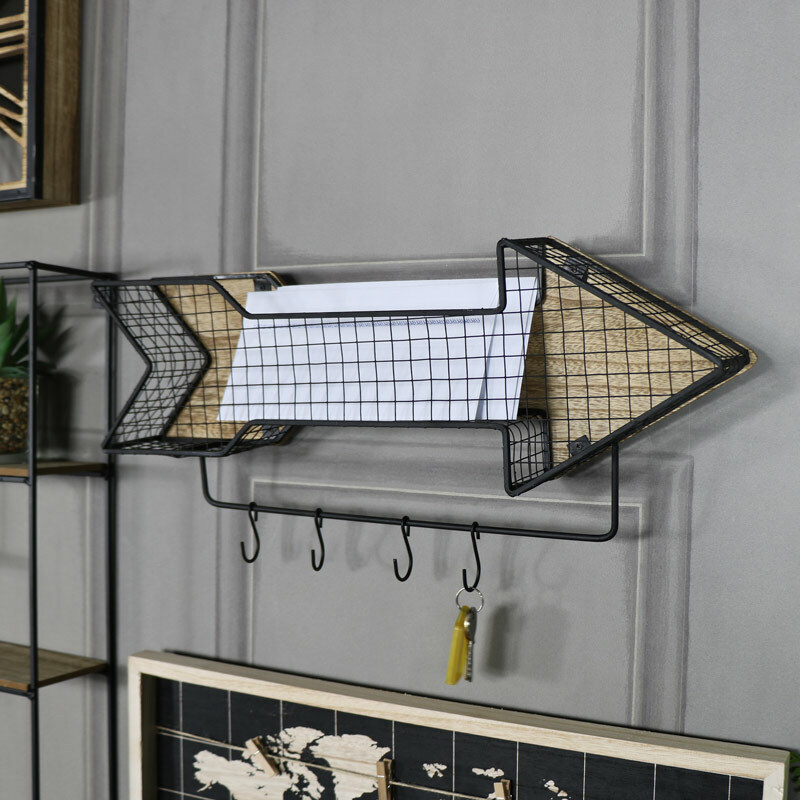 This shelf is great for adding some retro, rustic and industrial style with a practical purpose. Basket storage with hooks underneath. Hang in the hallway or bathroom. Black metal basket, shaped like an arrow with 4 hanging hooks on the bottom. 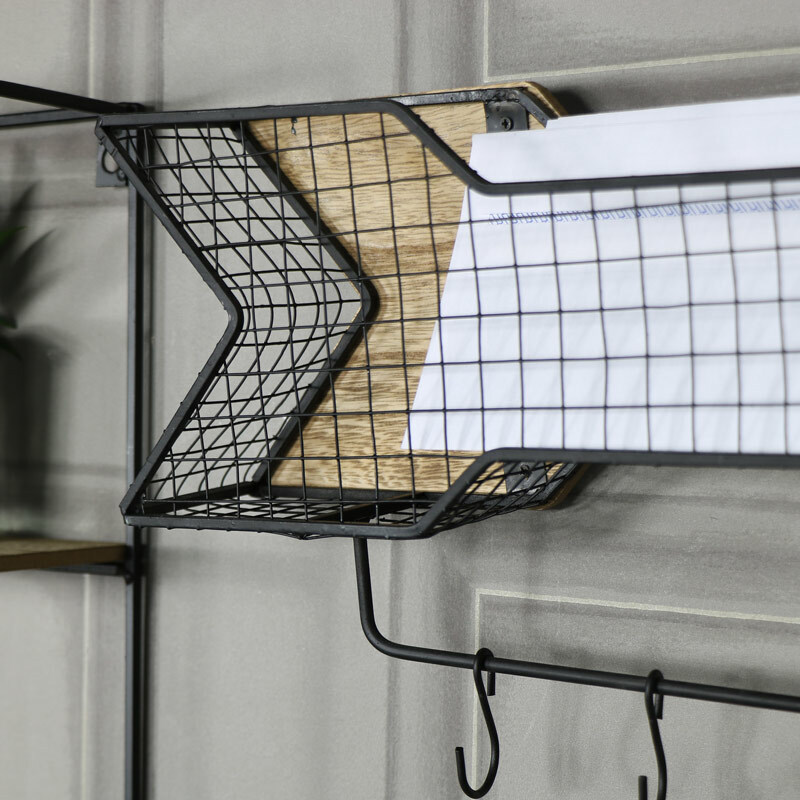 Use in the hallway to hold letters or hats and scarves with the hooks underneath, ideal for hanging coats and jackets. Use in the bathroom for holding bottles and creams with the hooks being handy for hanging towels on. In a look that will suit any retro, industrial and modern interior, while adding a little fun and quirky style. Made from metal in a black rustic, distressed finish with wooden back. Wall mounted design (fixings not included). With so many more shelves and wall hooks to choose from in fabulous retro, industrial, vintage and French chic styles. Something for every interior design.